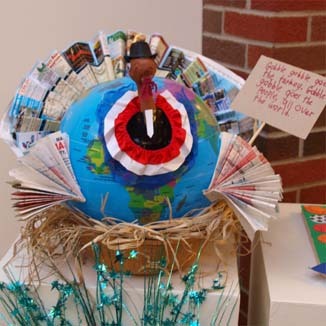 Onekama Fourth Grade Great Turkey Competition 2010! 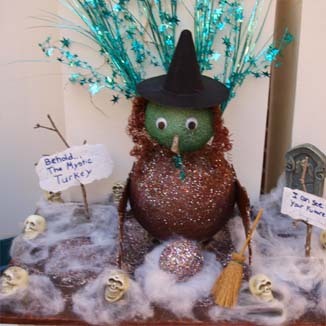 It's that time of year to vote for your favorite turkey! 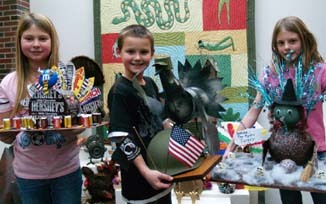 Ballots will be in the elementary teachers mailboxes, and in the student services office for middle school and high school. 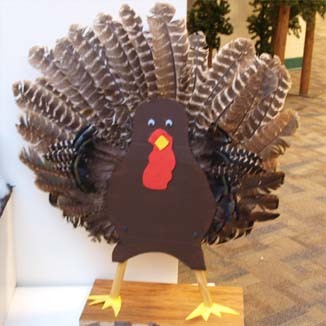 Not all Northern Michigan turkeys are running for their lives this Thanksgiving. 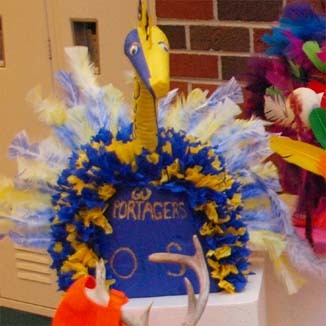 A few are sitting very still, proudly on display in the entryway at Onekama Elementary School. 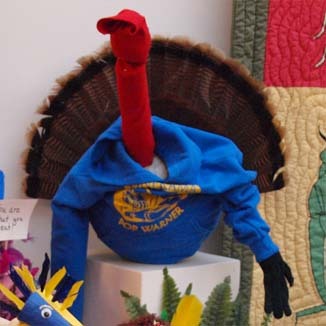 For the twelfth consecutive year, the fourth grade class of Onekama School is participating in the Great Turkey Competition. 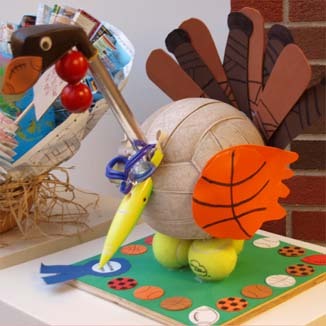 Students are given the task of designing and building a model of a turkey. 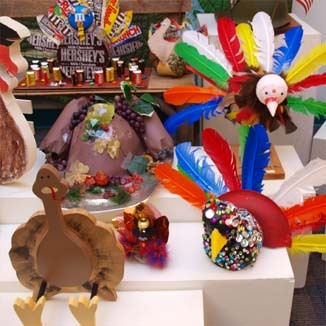 Imagination and originality are the keys to these turkey creations, and the finished products become the talk of the school each Thanksgiving. 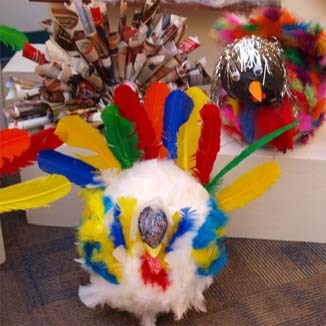 Those who enter Onekama Elementary School in the days to come should be prepared to be greeted by a gaggle of original turkeys, and by a colorful and inspired display of students� imagination-in-action.